A minimum quantity of three (3) is required for purchase. 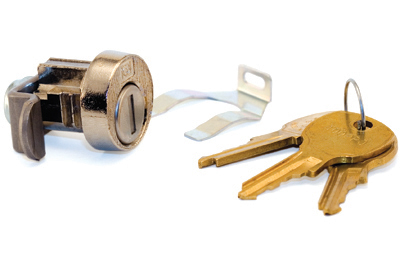 Auth-Florence offers a wide selection of replacement parts, keys and locks for commercial and residential mailboxes to ensure mail security and protection all the time. Maintaining the superior quality of your Auth Florence mailbox is easy and affordable with these replacement parts. Product applications include residential houses, multi-family units, high security areas, non-postal dormitories, office mail rooms, private postal centers, schools and universities, financial institutions, medical facilities, military bases and more. Florence offers Replacement Parts -- making it easier to maintain your Florence products and keep them looking new for the longest time.